these odd chapters somehow always manage to creep up unawares. and so this one. we were sitting the other eve, forks in mid-lift, i’m certain, when suddenly a skinny pair of sun-browned legs came swishing through the steamy jungle that these days is my secret tangled garden, the one tucked along the side of this old house. not many lopes behind him came another pair of legs, grown-up legs, a mother’s legs. but not his mother’s. while it took my brain cells a spell or two to shake all this out, it all came tumbling clear once i saw the look of dazed despair on the little one’s face, and the ashen worry on the mama trailing just behind. then i saw the boy holding something to his dust-splattered head, and i needed little explanation to reach the quick conclusion that this was not how the evening had been scripted. while the little guy stared up at me with those thirsty hazel-brown eyes of his, in that way that kids have of signaling simultaneous distress and “help me, help me, mama! this here’s your job,” the mama trailing behind him began to spill the dots. there had been a game of stealing bases, and a hardball, one zipping through the air at 35 miles per hour, she figured (and, the mother of three ball-playing boys, she knows these things). that hard-beaned hardball made a beeline straight to my little guy’s forehead, which set him “crumpling” (her word) to the ground, upon which he couldn’t remember my phone number, and kept saying the same thing over and over. oh, and he was dizzy. and he thought he might throw up. now, mind you, i’d just the week before heard a tale of precisely the same thing, a kid on the side of a ball field taking a bean to the head, how he got rushed to the school nurse, who thought not so much of it, so he went along to his after-school playdate, only to start getting droopy-faced within the hour. that poor kid wound up in emergency brain surgery before the sun set, and now, thank god, is a-okay. though he won’t be playing ball for a long long time. or ever, if his mother has anything to say about it. not-so-long story abbreviated: dear boy didn’t even need a CT scan, though of course they ruled his head bonk a by-the-book concussion. and, worth mention, his big brother did a memorable job playing ambulance driver, clicking on the bright red flashers only to be stuck in traffic behind the north shore’s slowest-ever driver, meandering lazily down the express route to the hospital. and, happy ending taken up a notch, we walked out of that ER into the arms of a thrashing summer’s storm. hallelujah! but this wouldn’t be a tale worth telling if not for the prescription that came with the bump: no TV, no computers, no reading, no contact sports. for how long we must endure this, we do not know. we see the concussion doctor monday. so for now, and through the weekend, we’ve turned back the clock and we’re playing like pioneers, minus the covered wagon. 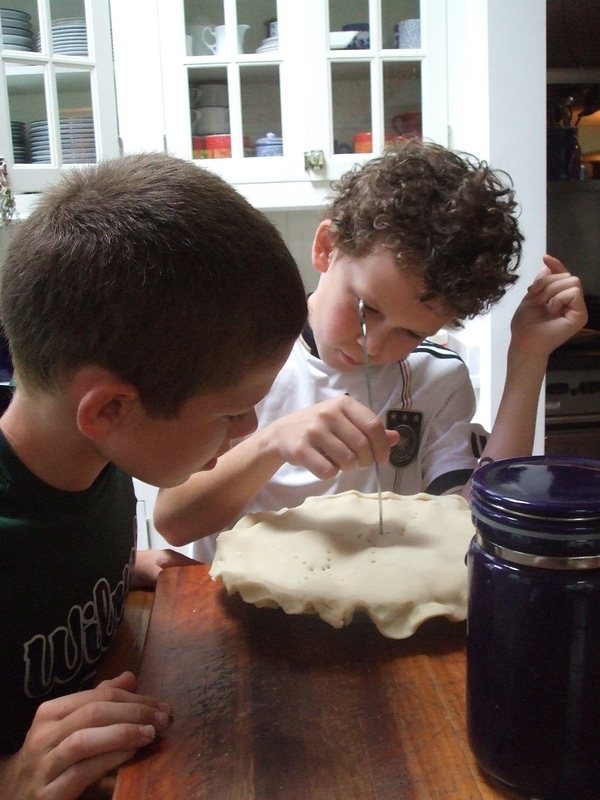 yesterday we filled the day with this list of exotica: two boys — ages 10 and 11, mind you — baked, from scratch, an apple pie. yessiree, they sliced the apples, dumped the sugar, sprinkled cinnamon with vigor. they rolled out the dough, crimped the edge (in remarkably poetic undulations). then, because both share the initials TK, they drew out a lance from the kitchen junk drawer and lanced away at their letters, a cris-cross of hard-edged consonants nearly doing in the pie top. while the apple pie did its oven dance, they did what bakers do: they tried their hand at texas hold ’em, a poker variation, then moved on to black jack and dominoes. ping pong served as minor interlude, along with a promise from our head-bonked one that he would not, absolutely not, come crashing down on the sharp corner of the table. later in the evening, yet another little fellow wandered by. he took the bumped one out for ice cream, and, quietly strolling the lanes from there to here, they returned home for a long night of not-oft-seen board games. checkers, monopoly, and the fierce pursuit of plastic real estate. so goes the old-fashioned, turn-back-the-clock life of the forehead compromised. and, of course you’ve guessed that the point here is that gifts sometimes come wrapped in odd packages. say, ones with purple-green swirls just under a little boy’s forehead curls. it is rather a refreshing, if taxing, way to spend a summer’s day, exercising the imagination, steering clear of pursuits that might potentially jar that tender brain of his. deep inside, i long for just such summer days. for the gift of building tree forts (though at the moment, the fort is grounded, not cleared for take-off). for, perhaps, lying upon a summer’s couch, listening to the words of a mama turning the page of some fine adventure tale. and, pray tell, how about a lemonade stand, peddling from-scratch lemony-sugar potion, at the turn-back price of 5 cents a glass? sometimes it takes a klonk on the head to get us seeing clearly. and if that’s the moral to the hardball story, well, then, i wish we could have gotten there without the goose egg hatching on my little fellow’s forehead. how do you dream of spending a summer’s day? one spent the old-fashioned way? humpty dumpty had a great fall…all the king’s horses and all the king’s men couldn’t put humpty together again…. indeed, and thank goodness, not all the falls that befall our little ones are great ones. sometimes brought on by being brave in the woods. sometimes by being brave in the woods for two long weeks you thought might never end. sometimes, they’re stirred by spending the night in a tent on the side of a sand dune, on a night when the thunder and lightning would not cease, when hail pummeled the tent flaps, when the counselors at 3 a.m. shooshed you onto the bus for safekeeping, while they struggled to stake down the flipped-over tents, and all you could manage was to pray for dawn’s first light, and a cure for the ache in your belly. and so, when you get to the end of that shell-shaking spell in the woods, when your mama pulls up to the dried meadow at the edge of camp, and you leap out of your flip-flops to throw yourself into her arms, you need your mama to reach deep into her bag of mama tricks and pull out the humpty dumpty powder. you need your mama to put you together again. that’s what mamas do best. that’s job no. 1 in the old mama bible. oh, sure we birth those babes back at the launch. but from then on in, it’s our supreme holy calling to be there for bee stings and dog bites and nights without end in the woods. and it is indeed how i am spending these hours, ever since i picked up my brave little camper there in the woods. didn’t take long, not more than a minute, to see that this hadn’t quite been a picnic, no mere frolic on the shores of torch lake. and it wasn’t simply the stench coming from his toes, there in the back of the homeward-bound rescue mobile. there were clues, the sort a mama can read without prompt, that the boy sound asleep for most of the car ride, straight through michigan and half indiana, had utterly and completely tapped out his stay-strong tank. heck, he’d survived on PB&J for the better part of 13 lunches and 13 dinners. even the night of the all-camp banquet, when ribs and baked alaska highlight the menu, the boy i love filled up on “four ears of corn and candy.” his words, exactly. no wonder he came home sun-browned and skinny. so, besides the bottle of bleach and the buckets for multiple pre-soaks (half the loam of the woods came home stuck in our little dude’s socks), we have pulled out all stops here on the home-team recovery squad. we’ve showered him with kisses, and filled the bathtub with bubbles. we’ve cooked up cherry-filled pancakes, drizzled cherry syrup over slabs of turkey bacon, concocted “torch lake sunrises,” an orange-juice-and-cherry-concentrate breakfast mocktail. we’ve squeezed triple-antibiotic ointment into oozing blisters on the sides of both feet. we’ve fluffed a pillow, unfurled a blanket and rubbed itty-bitty circles there where the headache pounded. but the best cure of all was the big brother who’d once roamed the same woods, downed the same baked alaska. he knew the camp songs, the lore, the legend. he got the kid laughing again. come dinner time, we let the little guy order up a feast of favorites: from-scratch mac-‘n’-cheese, ditto the applesauce, corn on the cob (minus the candy, his mama insisted), all washed down with cherry pie ala mode. in no time, we suspect, our little camper oughta be back to his usual mostly-unflappable self. but one of the breath-taking truths of motherhood is that you’ve got a rare, front-row seat on the naked work of growing up and learning to be brave. 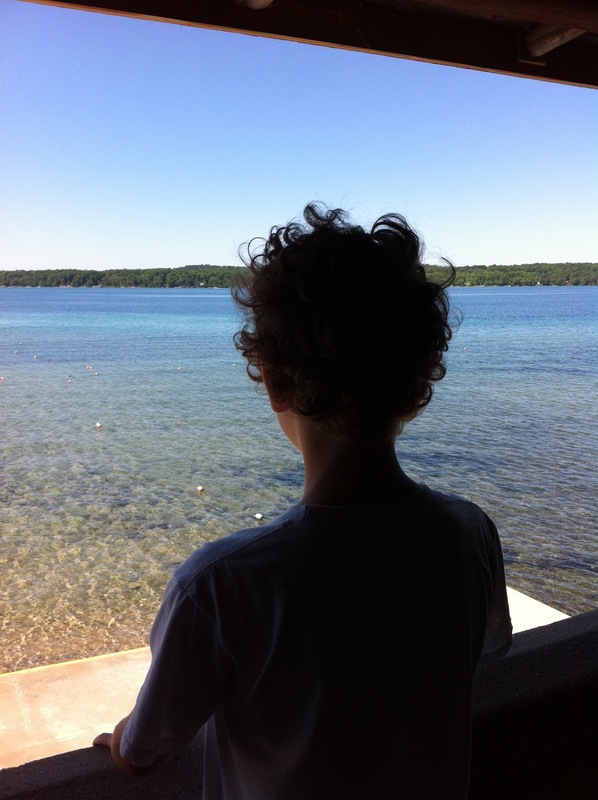 i’ll never forget that kid standing at the window, just two weeks ago, the night before we left him at camp. he was staring up to the starlit dome, and, even there in the dark, you could read the prayers spill off his lips, and the way he wrapped it all up with a sign of the cross, and a tip of his palm to the heavens, just like the ballplayers do. he was beside himself with worry, he told us. could not imagine going two weeks without seeing a glimpse of us. but he made it. he did it. and that’s what i keep whispering in his ear. and if, for the next coupla days, we need to stoke you with buckets of cherries, and lavish you with kisses, we’ll get you steady on your feet. because we’ve seen you, backlit by the night sky, in your hour of near-despair, and we’ve felt our own lungs swell, at the depth of your courage: you took to the woods, little one, and you found your way home, shaken but not cracked. tell me your tales of profiles in courage you’ve witnessed up close and personal. humpty dumpty powder not needed. those calls do not always come in the form of a phone ringing, but this one did. it was early monday morning, i was minding my business, taking a stroll on the round-about that is the basement treadmill. phone rang. i answered. “hullo, this is the lynn sage breast center at northwestern memorial hospital,” said the voice on the other end of the line. i felt a grand canyon of unanswered question gouge into the empty space between her last utterance and the silence that fell after it. “yes,” i finally spoke up, voice creaking, begging to know what was coming next. 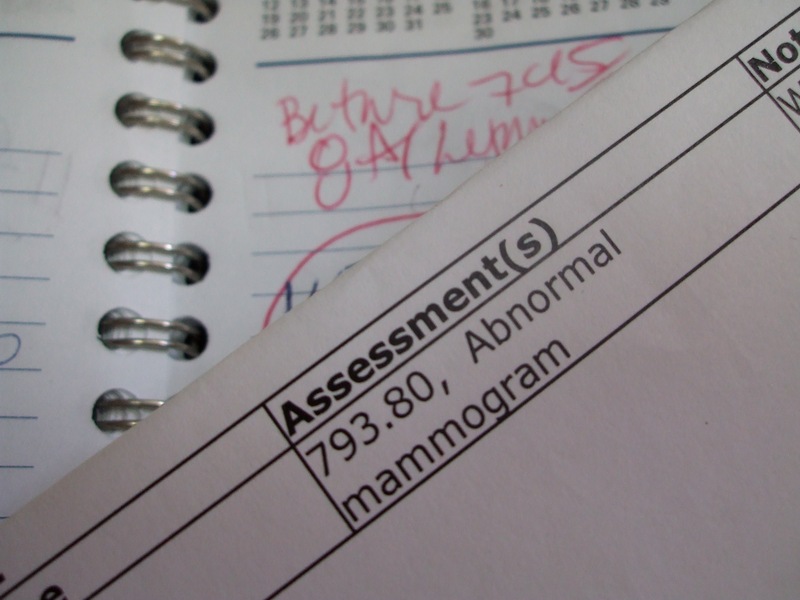 “the radiologist…,” i heard her say, then something about my last mammogram, the one two weeks ago. “abnormal… they’d like you to come back… as soon as possible.” so flowed the hyphenated string of words, the sound of my heartbeat drowning out whatever came between. and so my week began with a crash and a boom. we scribbled in the appointment, the voice and i. it would be first thing the morning after the fourth of july independence holiday. next up, the pounding of the digits on the phone face. tried to call the mate. he wasn’t there, and i wasn’t leaving that message. so i called my mama. rounded out my life list of swears-in-front-of-my-mother with a new addition, the f word. glory be to the heavens, she echoed it right back. it was a morning for firsts, all right. and so began a 72-hour trip to heck and back. that’s all it takes for a girl with an imagination like mine to see her whole life unspool before her eyes. you thought you were headed to cambridge, i sassed myself. not without an oncologist’s phone number tucked there inside your pocket. you thought you liked your curly wild silver hair? imagine it missing. and so it went, through most of the week. i saw fireworks through eyes that wondered what the morning would bring. i took a shower and barely glanced down, for fear that the sight of those troublesome lumps would make my knees buckle under right there beneath the pounding beads of shower stream. i pictured myself sprawled out on the couch in the bay window of the cambridge three-flat. wondered how i’d lug the groceries up the stairs. wondered if chicken broth and saltine crackers would be the mainstays of my cambridge foodstuffs. it’s the reality check that tumbles us to the ground. it’s the fear of God that shakes us to our core. it’s that rare-enough interlude when we feel the world as we know it slipping through our fingers, when we can’t quite close the gap, can’t contain the fall. i can’t say that it was wasted time, not at all really. it’s that top-to-bottom accounting of one’s life. weighing out all the bits, sifting through to what matters, what matters fiercely. why, setting the table seemed a joy. grilling vegetables, pure pleasure. holding hands with the ones you love. listening to my college kid speak these words: “not you, mom, you’re invincible.” standing in front of the mirror, deciding that unruly mop atop my head, it’s who i am and i am not about to surrender it. not without a tussle anyway. i consider all of it a practice drill for sizing up the joint. it’s not a bad thing — how could it be? — to take inventory of the whole of your life, to divide it into piles, this here’s essential, this does not amount to a hill o’ beans. and in the end, all that mattered was boiled down to one short list, one simple prayer: dear God, let me live out my days being a mother to my holy blessed children. let me be there, God, on the days when they need me most. let me get that little one straight into high school, please. let me filter down into their backbones and their spines. let my sparks of light illuminate the darkest corners of their soul. dear God, give me sunrise skies in the mornings, and starlit domes at night. let me dwell, quiet, in the garden. let me smell the roses on the climbing vine. dear God, let me walk beside the ones i love. let me hear their voices, peals of laughter; let me brush away their tears when next they fall. dear God, give me the simple joy of sitting together at breakfast, of taking to the front porch with a tin of pie and two forks. give me blueberries piled high. and the unbroken blessing of a day without a worry. but most of all, dear God, give me one more round with my little boy. he’s not ready yet to run without me at the finish line. and sure enough, i signed into the special room yesterday morn, the one at the end of the long hall, the one already filled with too many other women with too much worry etched into their cheeks, their eyes, the corners of their mouth. we sat there, a sorority of holy desperation. until at last they called my name. pointed the way down the long hushed hall. there, behind a door marked “A,” as i went to set my coffee mug on the top shelf of the skinny locker, as the nice lady handed me the hospital gown, instructed me to leave the ties in front, before i saw it coming, the coffee came tumbling down, all over me, on my once-white t-shirt and khaki shorts, dripping down my knees, straight to the tops of my garden-stained toes. “may that be the worst thing that happens to you today,” said the nice lady, as she grabbed a hunk of tissues, mopped me up. a long dull 45 minutes later, after the ladies with the magic wand pressed it back and forth, over and over, across the top of the lumpy place, at last came word that in fact the coffee spill had been the worst of it: “go home,” the attendant said. simple as that. it was all over. the radiologist read the images, determined nothing lurked there. i climbed off the table. shoved open the door. 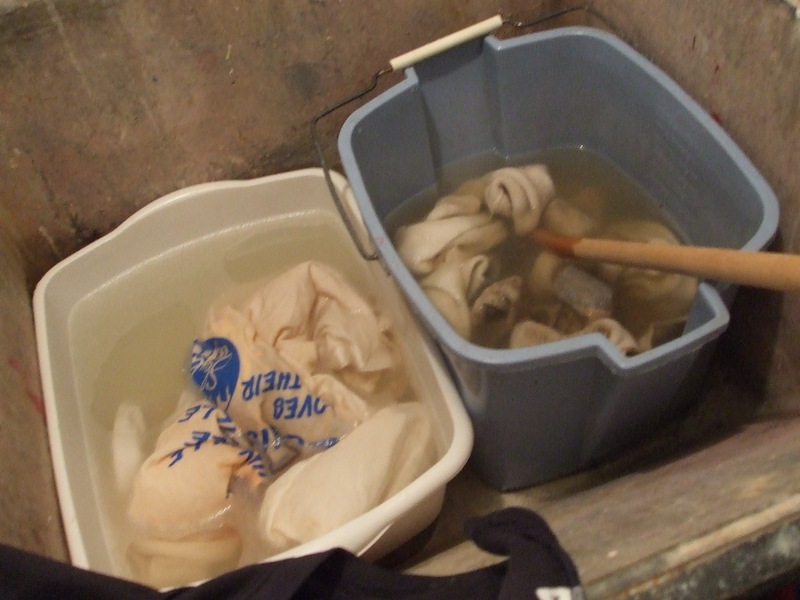 walked back to the locker where my stained clothes hung. i spent the rest of the whole long hot day whispering these simple words: thank you thank you thank you God. thank you, one more time, for the breathtaking chance to wrap my arms around my boys with not a worry in the world. in the end, that was it, the only prayer that mattered. and the one that, this time, was wholly answered. what was your last close call? and in the end, what’s on your short list of most essentials? the things you cannot, will not, live without? i have delivered to you my precious child, my tender heart, brave heart. he is yours now, for two whole weeks, yours to hold, to guide along the trails in deepest darkest night, yours to wrap your arms around in those shaky moments just before the sleep comes, when thoughts drift home, when home feels faraway and hollow fills the void. he is yours now as he leaps off the dock into soft-bottomed sandy swimming hole. he is yours as he climbs the ropes and buckles onto that shiver-me-timber woodsy trick, the zip line. he is yours as he climbs endless dunes and jumps for dear life. hold those ankles straight, dear mother watcher God. keep those bones from cracking into twos. keep bees away, and while you’re at it, please shoosh the darn mosquitoes. ditto poison ivy. 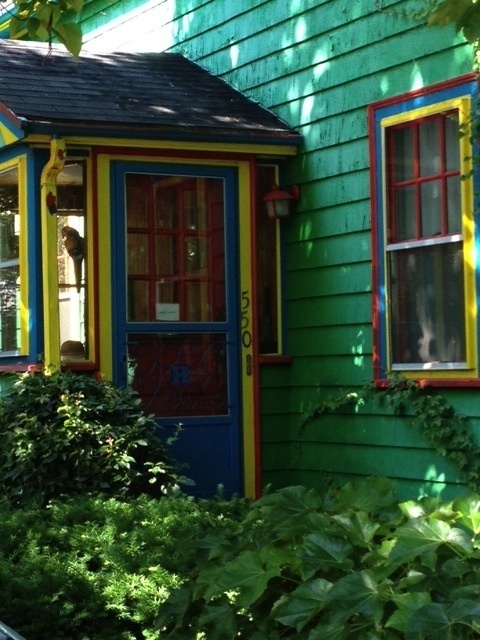 perhaps, too, you could drift down into the dingy cabin — he’s in no. 6, in case that helps — and tap him lightly on the shoulder, whisper in his ear: “don’t forget the sunscreen. slather on the OFF!” and when he loses things, say, the water bottle, or the flashlight, maybe just maybe you could guide his searching little hand to the very secret spot where said essentials are playing hide-n-seek. dear mother God of star-lit dome, of lake breeze, of rustling in the cottonwoods, you now tend my first-time camper, you hold him to your moss-carpeted bosom. i pray you open up the woods to him, reveal to him the mysteries of your quiet ways, your crashing-booming majesty. for two short weeks, we’ve unplugged him just for you. he’s all yours now. he has drawn in a deep cleansing breath, shaken off his deep-woods worries, and surrendered to all the glories you have to offer him. tap his tender heart. unspool for him the depth of confidence that’s buried deep down where he doesn’t always know it dwells. allow him to emerge from these woods, from these weeks along that crystal lake, from romping with the troupes of boys and abiding by generations-old rules of woodsmen’s games, knowing just a bit more solidly how much he has to carry into this blessed world. if so inclined, please be there when the hour comes, at last, for him to light his torch, and lift it high — to illuminate not merely his way, but, as well, the twisting paths of all of those who walk beside him. hold him tight, dear mother God, when he needs a squeeze, and be the wind beneath his wings when he glances down and sees that he is soaring, gliding where the eagles glide. oh, and one last thing while i’m on my knees here begging: see if, just once or twice, you can make him reach for the milk jug — instead of glow-in-the-dark “bug juice,” a vat of red dye no. 2 — when it’s time to fill his lunchtime glass. that’s pretty much the whole of it from here on the home front, where i’ve nothing left to do, but turn to you, and trust with all my heart. thank you mama God, God of dappled afternoon light, God of pit-a-pat of summer rain, God who wraps the campers in her arms, and holds them safe and blessed ever after. so begins my two-week vigil, my prayer for my little one’s safe keeping. it wasn’t a trip without tears, wasn’t one that did not demand an oversized butterfly net to catch the wayward worries. but once there, along torch lake in northern michigan, he allowed the pure pine-woods air to fill his lungs, and animate his every step. he found particular joy in discovering his big brother’s name painted onto a plaque that hangs not far from his cabin, a place he’ll pass morning, noon, and night as he passes to the dining hall, and lakeside campfire. i like to think it’s a bit of a woodsy patron saint, keeping watch on the little one. right in here, we’ll take all the eyes we can muster. be safe, brave camper. but even more: be joy-filled.